Do brains burn more calories when thinking? I've noticed I am very tired after a day at uni, even though I am sitting most of the day. I have heard that brains burn approximately 20% of our daily calorie intake, but my question is: Do brains burn MORE calories when you're thinking really hard? Toni - So, it’s absolutely right, the brain does require round about 20% of your daily energy intake. The brain relies on glucose; it has to have glucose for energy so unlike other parts of your body, for example, other organs or muscles which can use fatty acids, the brain has to use glucose and it needs around about 120 grams of glucose a day. Most of the evidence indicates that, actually, you don’t see a significant increase in energy consumption with people doing mental tasks. 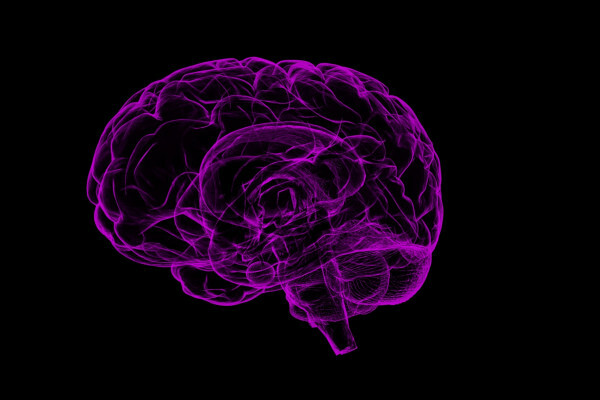 There have been some techniques where they can scan metabolic activity in different regions of the brain and it’s looking at how the glucose moves and is utilised in different regions, and there is some suggestion that when you’re given a specific task you see more metabolic activity and glucose utilisation in different regions of the brain. But the overall impact of total energy requirement is very minimal and so the idea that if you’re going for a day’s lecture at university you need several chocolate bars, I’m afraid is not true. Toni - It’s not going to happen. Maybe the tiredness could be many other factors and, actually, one of them is good hydration. So tiredness and not being able to concentrate is often about making sure you’re well hydrated. Next What would happen if you covered a swimmer with a hydrophobic substance? Do unripe pairs contain the same about energy as ripe pears?